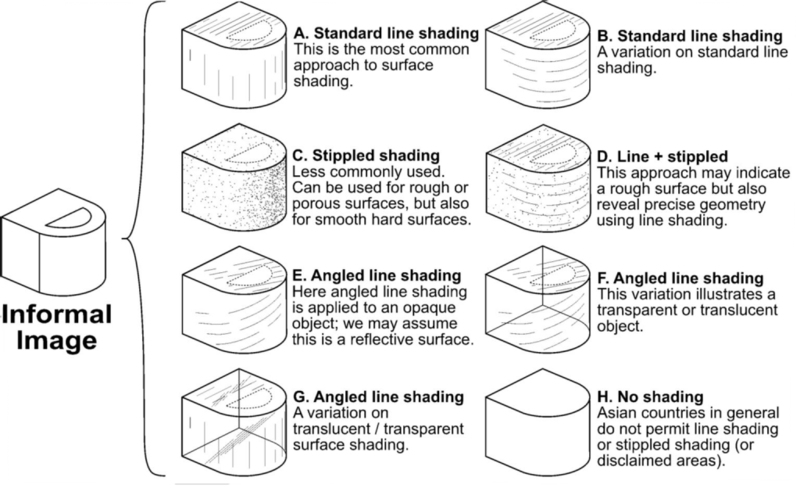 There are several methods of applying surface shading to utility and design patents. Each has a particular meaning for examiners. These few examples may help you decide which is right for your project.